Various events in Sorrento and Amalfi Coast. Also this year you will reach the most beautiful places of the Vesuvian Coast with a fast and comfortable train. Air conditioning and bookable seats. Description: Also this year you will reach the most beautiful places of the Vesuvian Coast with a fast and comfortable train. Air conditioning and bookable seats. Now in its fifteenth edition, Wedding Ideas 2016 will be held at the Hotel Conca Park, Sorrento. 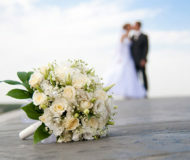 Description: Now in its fifteenth edition, Wedding Ideas 2016 will be held at the Hotel Conca Park, Sorrento. 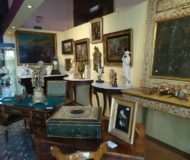 An event of great depth, which sees the presence of the most important international antique dealers. A trip back in time for fans and experts. Description: An event of great depth, which sees the presence of the most important international antique dealers. A trip back in time for fans and experts. 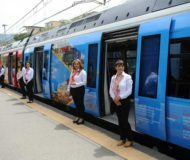 From May to October is on the special train for tourists that departs from Sorrento and stops in Pompeii and Herculaneum, to get directly to Naples. 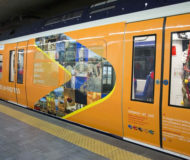 Description: From May to October is on the special train for tourists that departs from Sorrento and stops in Pompeii and Herculaneum, to get directly to Naples.